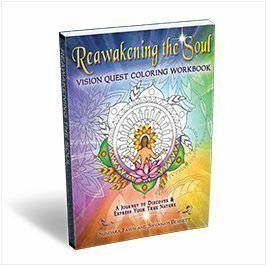 This Coloring/Workbook is loaded with over 100 pages of self-reflection questions, goal setting worksheets and beautiful coloring sheets that correspond to each of the 38 cards in the Soul Wisdom Deck. It comes in a binder, where it will grow with you throughout the years as you explore your Spiritual Soul! 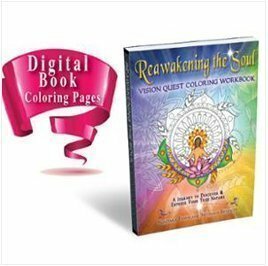 Experience the calming and creative benefits from coloring. 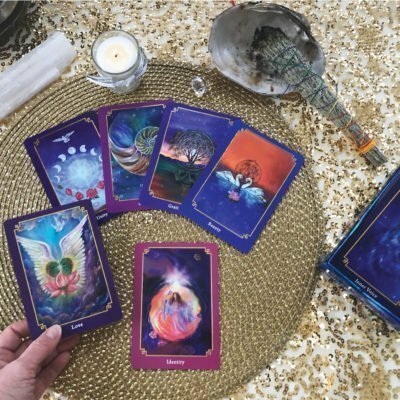 This form of meditation will relax your mind as you set intentions to make your dreams a reality. This book is a must if you wish to chart your spiritual progress as you consciously create your reality. Say “Hello” to your inner child as you have fun playing and creating your dreams!